What a wonderful journey. Very happy for you. 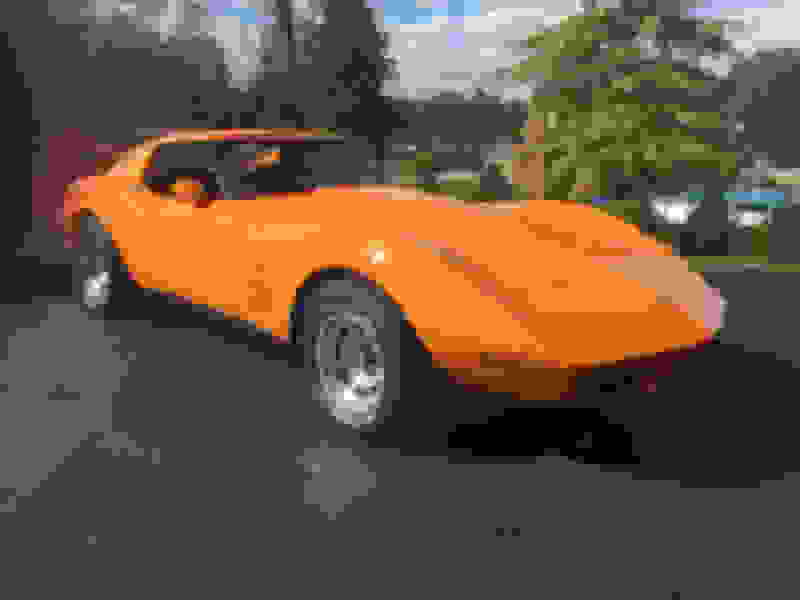 My orange 77 is a beautiful machine, that I tore completely down, and built up to much better than GM could afford to do. I love the 77 because for me it has the most of the best C3 features in one model year......BUT, my dream is a 69 black, big block with red interior. Unfortunately I will have to win the lottery to fulfill my dream. So, I will be content with my 77.....and I love driving and owning it. Of course, if someone has my dream car and wants to trade!!?? I would consider it. Great story David.......glad to see you back in C3 World. Need more pics before you start tearing it down. You live to be an inspiration for us who are slow at progress. See you in the Springtime, my friend. ...Good story & write up. I was into Chevelles & a '68 Camaro from the time I was 16 to the time I was 26 when I moved out of my parent's house. 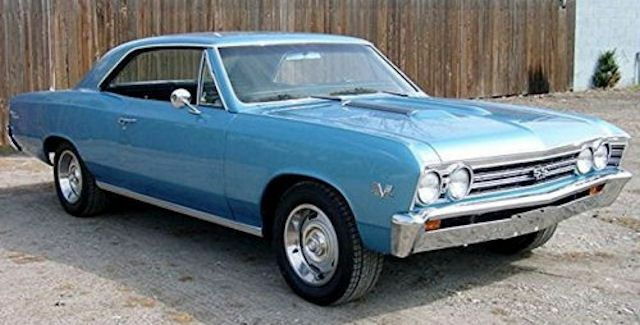 Had a beautiful '67 Chevelle SS L-78 396/375hp car I had for 8yrs. The one I shoulda kept. Was one of 612 built by GM in '67. I had the bug for awhile to get a '69 Z/28, but after driving my friend's for a few hours, I realized I really didn't want one. I bought Chevelles & Camaros because I COULDN'T afford Corvettes. Now that I have Corvettes, I can't afford Chevelles or Camaros(at least what they want for decent ones these days). Your Medium Red '74 vert looks nice, especially in a roadster. Even with a hardtop on they look cool. Just documenting that I have had it now for a month and haven't taken it apart. Did I buy some stuff to work on the car, you bet, and I made a few suppliers happy along the way, but major modifications are not planned on this one. Spring reveal to local car shows is about all I have planned, oh, and driving it of course. Have a Merry Christmas to those that believe and a Happy Holidays to all. Seeing you were thousands of miles away from it that would have been a tough deal to take it apart. Go out and check the car. I put a TKO in it while you were gone. I do have the garage code! Good plan to just drive it this year. Just enjoy it. Gordon and David:. What Philly region shows and events are worth exploring? I'm not a show guy at all. I prefer to drive rather than sit in a parking lot and look at waxers. Neither of my cars has been washed in 2 years and the wax is very old. There is more tire rubber than wax on them. That being said on occasion I do drive to a couple of local cruise ins and spend about an hour then take off. If my Vette is done this spring I will go to the Beach Bums show on LBI since I have a house there and a few local guys show up. David will probably be the better one to ask. Thank you Paul. I'll be over to see John Tuesday. You be around? Even with a hardtop on they look cool. IMO they look even better with the hardtop on. I'm not a fan of the looks of a ragtop up. Either top down or hardtop for me. WOW it's as if you never left! LOL Welcome back David, the C3 forum is all the better to have you. Last edited by The Phantom; 12-17-2018 at 07:57 PM. Thanks for sharing David! I've heard you talk about the 77's but thats the first Ive seen them. The 74 looks fantastic. My Dad has a white 74 coupe - helped him put new carpet in while we were visiting home this past summer. Decision taken, I decided to let the 74 breath. 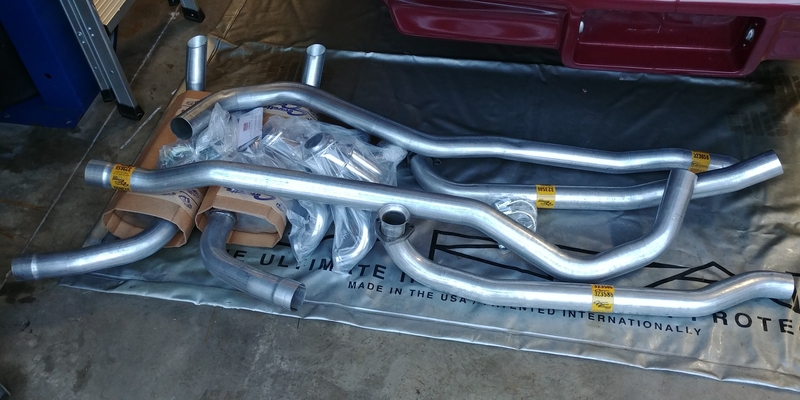 I purchased a badly needed exhaust system for the car. I had a bunch of options. I opted for the Corvette Central 2-1/2" in system with Patriot ceramic coated shorty headers, and Magna Flow mufflers out back. It is not a radical departure but my thinking was to "let her breath" a little easier. So that is what I intend to do. Uh oh. I hear the body mount bolts cracking now! The long slippery slope to a full resto! Many have tried to resist. Just bolt it on and drive it! and so it begins....... just an exhaust really?? Authentic 1969 SS396 Chevelles in the right condition are a lot more valuable than 1973 on late C3s. If you clone the 69 Chevelle into a SS396, you're not going to be able to recoup your money. The 1969 SS396 Chevelle is a universal favorite!